In the past there were three mortgage loan types available to a home buyer. Buyers could get a fixed-rate conventional mortgage, a FHA loan or a VA loan. Times have definitely changed. Now there are now seemly unending different types of mortgage loan types available. This is may in fact be the most common mortgage; it is also called a conventional loan. Today you can choose from 5-year, 10-year, 15-year, 20-year-, 30-year, 40-year and even 50-year fixed-rate mortgages, all of which are completely amortized. FHA mortgage loan types are insured by the government through mortgage insurance that is funded into the loan. First-time home buyers are ideal candidates for a FHA loan because the down payment requirements are minimal and FICO scores do not matter. Calling a mortgage loan type an “interest-only mortgage” is a bit misleading because these loans are not really interest only, meaning the borrower pays only interest on the loan. Interest-only loans contain an option to make an interest-only payment. The option is available only for a certain period of time. However, some junior mortgages are indeed interest only and require a balloon payment, consisting of the original loan balance at maturity. This type of mortgage financing consists of two loans: a first mortgage and a second mortgage. 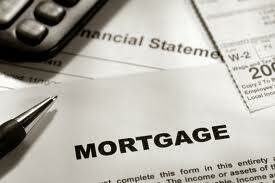 The mortgages can be adjustable-rate mortgages or fixed-rate or a combination of the two. Borrowers take out two loans when the down payment is less than 20% to avoid paying private mortgage insurance. Adjustable-rate mortgages (ARMs) come in many flavors, colors and sizes. The interest rate fluctuates. It can move up or down monthly, semi-annually, annually or remain fixed for a period of time before it adjusts. Borrowers who want to pay a lower interest rate initially often opt for mortgage buydowns. The interest rate is reduced because fees are paid to lower the rate, which is why it’s called a buydown. Buyers, sellers or lenders can buy down the interest rate for the borrower. Like the 203K loan program, FHA has another program that provides funds to a borrower to fix-up a home by rolling the funds into one loan. The dollar limits for repair work are lower on a Streamlined-K loan, but it requires less paperwork and is easier to obtain than a 203K. These types of mortgage loans are used when a seller has put a home on the market — but it has not yet sold — and the seller wants to borrow equity to buy another home. The seller’s existing home is used as security for a bridge (also called swing) loan. Equity loans are second in position and junior to the existing first mortgage. Borrowers take out equity loans to receive cash. The loans can be adjustable, fixed or a line of credit from which the borrower can draw funds as needed. Reverse mortgage are available to any person over the age of 62 who has enough equity. Instead of making monthly payments to the lender, the lender makes monthly payments to the borrower for as long as the borrower resides in the home. The interest rate can be fixed or adjustable. Get independent advice from a trusted advisor before taking out a reverse mortgage.